Sylmar Technology announced today the immediate availability of The New Minerva Undermounted 1.5 Designer Bowl in White Acrylic, increasing the number of sink option offered in the minerva® solid surface range to seven. 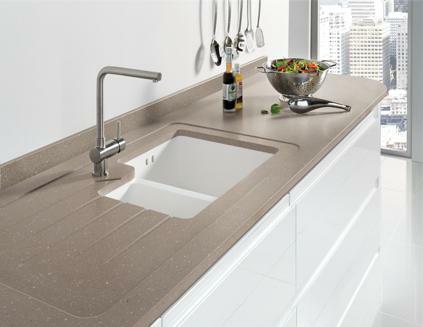 “The 1.5 designer bowl is the most popular mid-market sink. I believe Sylmar Technology is one of the first solid surface suppliers to offer a white acrylic bowl alongside our popular stainless steel bowl as part of our standard sink module offering,” said Peter JR Holt, Managing Director at Sylmar Technology.